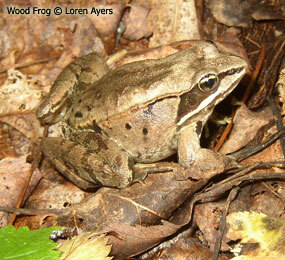 Relative abundance and population trends from the Wisconsin Frog and Toad Survey are calculated for the entire state but it is also beneficial to look at these data at different scales and across habitat types. The statewide trend estimates may mask trends that are occurring at a smaller (perhaps more meaningful) scale; for example, opposing trends could occur in different regions in the state but "cancel each other out" in the statewide trend estimate. 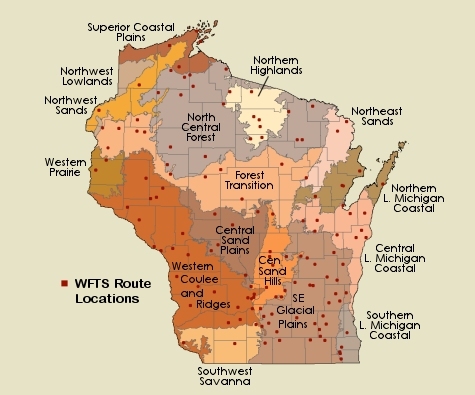 Ecological Landscapes are used in Wisconsin to differentiate regions across the state. Ecological Landscapes are areas of Wisconsin that differ from each other in ecological attributes and management opportunities. They have unique combinations of physical and biological characteristics that make up the ecosystem, such as climate, geology, soils, water, or vegetation. They differ in levels of biological productivity, habitat suitability for wildlife, presence of rare species and natural communities, and in many other ways that affect land use and management. Please refer to the WDNR's Ecological Landscapes of Wisconsin website for information on specific landscapes.